Speech by Dr. Jean-Bertrand Aristide at first graduation ceremony at UNIFA, the University of the Aristide Foundation. 77 medical students, 46 nursing students and 15 graduated law students in UNIFA’s first graduation ceremony held on March 18, 2018. We, Mildred and I, have the singular honor to extend to you our warm greetings and cordial welcome to our first ceremony of conferment of diplomas. Henceforth, March 18, 2018 and March 18, 2011 are inscribed in golden letters in the annals of UNIFA. After 7 years of exile the return home was necessary to rekindle the flame of education on this campus. A story that is captivating and inseparable from the historic welcome reserved for us as we moved from the Toussaint Louverture airport to the house. As you can see, March 18, 2018 and March 18, 2011 are twin dates. Many million thanks for the many million people who were thirsty for this return. To, together, water the garden of education with the rain of the return. Congratulations! Honor, respect for all of you! Bravo for all of you! Yes, gratitude is the memory of the heart. Dear recipients, dear students, may every fiber of our heart intone a symphony of gratitude for the Members of the Board, the Rectorate, Deanships, Professorial Corps, the legal counsel, all employees and friends of our University community! If the Board symbolizes a source of light, the Rectorate, the Deanships and the Professorial Corps represent the 3 first neurons of UNIFA’s visual field. Without the synchronization of these hierarchical structures, UNIFA would be like one struck by achromatopsia. That is, these bursting colors of our first graduation ceremony would not shine before our eyes. We address to them a special thanks on this memorable day. Like you, dear recipients, the “Unifa-ristes” radiate with happiness. Here, they discover the taste of scientific knowledge. This is what we propose to all young people of every geographic, economic and social origin: Educare sine exlusione! Education without exclusion! Welcome to all of you, young women and men, hungry for scientific knowledge and burning with the desire to contribute to the renaissance of our dear Haiti. May the perfume of this graduation, yet infuse your future. September 25, 2011, Mildred and I experienced the great joy of welcoming to our home 126 medical students. That morning’s encounter, where we explored the grand precepts of neurolinguistics, left an indelible imprint. Seven years later, I am addressing 138 recipients, and 1,687 students in medicine, dentistry, nursing, physiotherapy, law, civil engineering and permanent education. Rightfully, we tremble with joy in as we offer our sincere congratulations to you, dear recipients. Because you fulfilled your responsibilities before your parents – whose hearts open to the fragrance of this celebration – your studies are today crowned with success. Here you are standing, proud and ready to join the grand family of legal and health professionals! The pride blooming in the faces of your parents, accompanied, of course, with innumerable sacrifices endured through the course of your studies. Let your hands express your gratitude towards them with a hearty applaud! Bravo to father and mother, to all those who allowed you to attain this noble goal! Dear recipients, born with two eyes that open and close, you must be reborn with two eyes that open and never close. How do we define these special eyes? As organs? No. Indispensable eyes? Yes. Here are their names: Science and Conscience. On a global level, science progresses, conscience regresses. May your professional conscience contribute to the awakening of the social conscience. To achieve this, I urge you to retain three celebrated words drawn from the Cradle of Humanity: Umuntu ngumuntu ngabantu. A person is a human being through other people. The quintessential essence of social conscience is found clearly in this philosophy of Ubuntu. I am because we are. The intelligence of our Ancestors invites us to re-read the history of Haiti with the eyes of the conscience. Indeed, for a word to be perceived either consciously or subconsciously, it needs only 275 milliseconds to travel through the retino-thalamic tract and the optical radiation. However! However! If the word perceived subconsciously disappears rapidly, the word read with the consciousness pursues its path across the cerebral cortex. One example: in 575 milliseconds it reaches the parietal cortex. It is my ardent wish that these precise biological underpinnings of consciousness motivates us to read our history with new eyes. There, we will discover not “shithole”, but the sap of human dignity. Respect for every person’s dignity. Dignity is inherent to human nature. From the scientist to the illiterate person, from the Black human being to the White, we are all born free, equal in dignity and before the law. It must have a wick of science and gas of conscience. Yes! Gas of conscience, or petro-conscience. Petro-conscience to guard over petro-Caribe. Dear recipients, you can, yes you can contribute effectively and humbly to the awakening of the collective conscience. After receiving good grades in exams in anatomy, constitutional law, ethics … you need to achieve good grades for the exam in conscience. Pursuant to Article 6 of our Constitutive Act, critical conscience is not an ordinary subject; rather it is a fundamental subject. You will need it “semper et ubique”, that is always and everywhere. Eradicating evil at the macro level is not easy. But at the micro level, you can combat it rationally. is the obligation of ethics. We must, as educators, fulfill our responsibility of conscience. Like a metastatic cancer, institutionalized corruption devours our social fabric, the future of our children and of the Haitian youth. The exodus of youth is a product of this cancer. Where there are a multitude of corruptors suffering from hemispatial neglect and anosognosic corruptors, we must, with great urgency, prevent a social collapse. “Non impedire malum, favet.” He who does not prevent evil, favors it, exclaimed Ciceron. Dear Sisters and Brothers, Haiti could not prevent the January 12, 2010 earthquake. But we must absolutely avoid and repulse this social collapse or social earthquake, and then honor Haiti in Dignity. Science and conscience lead to social cohesion, economic solidarity and of course education without exclusion. These two beacons of light illuminate the royal path that will lead humanity to a civilization of love. conclude with this wish: Dear recipients, born one day with two ocular globes, may you be re-born every day through these two illuminating globes: Science and Conscience. So, to you, Success! Happiness and Much Love! (1) Under Venezuela’s Petro-Caribe program, Haiti was supplied with oil at a favorable price and under a flexible credit mechanism. The benefit to Haiti, estimated at approximately $3 billion, were intended to combat poverty. All reports indicate that the funds were stolen and misappropriated by the past two governments. An unprecedented act of state corruption. Friends of UNIFA presents UNIFA (Nov. 2017). Most people in the U.S. hear about Haiti only after a disaster. Earthquake, Hurricane, Cholera Outbreak, Human Rights Violations. And then the inevitable ask for funds. The needs are great and the disasters are real. But we know that very little of the money ever reaches those on the ground. And worse, this story, the only story we ever hear, reinforces the image of Haiti holding out the everlasting begging bowl. How do we crack open that story? How do we work on the roots of the problems? How do Haitians write a new narrative? 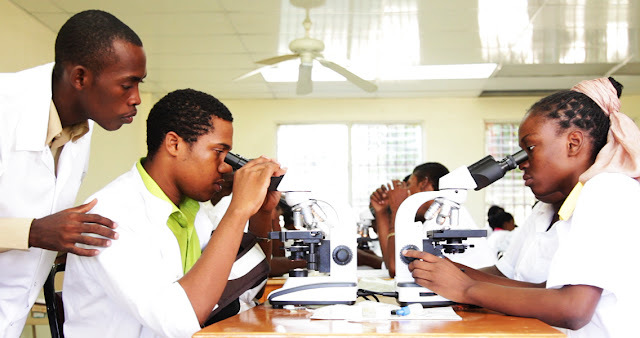 UNIFA, is a fully credited Haitian University, offering degrees in Medicine, Engineering and Law. Founded by former President Jean Bertrand Aristide and staffed by Haitian faculty, UNIFA now has over 1,400 students studying on its campus in Tabarre. Most of these students come from sectors who have traditionally been excluded from any access to higher education, more than half of the students are women. 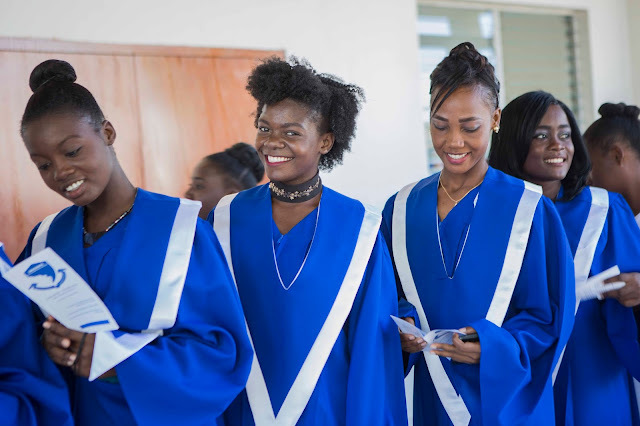 At UNIFA all students get a world class education for less than it costs at other accredited private universities in Haiti. Most importantly UNIFA is training Haitian professionals to solve Haitian problems. Doctors and nurses to treat and prevent cholera. Engineers to build buildings that withstand earthquakes and floods. Lawyers to champion the rights of Haiti's poor majority. Young people with the skills and knowledge to lead their country forward. We ask you to invest in a new narrative about Haiti. 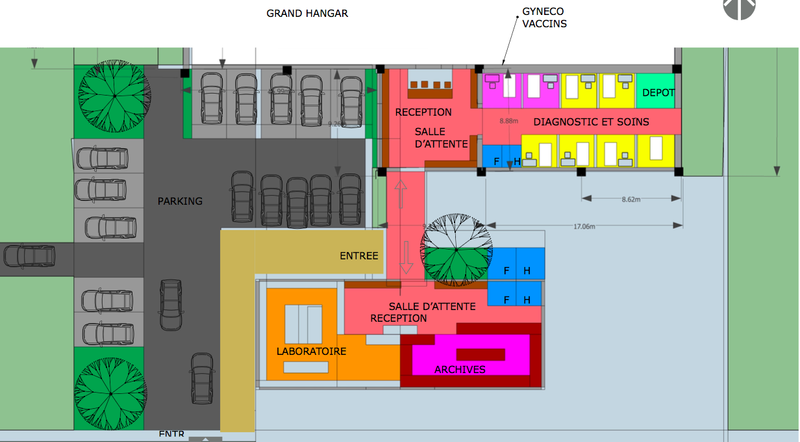 Please join UNIFA's Campaign for Dignity to fund construction, medical equipment, furnishings and operating costs for this important medical center that will provide UNIFA medical students with practical experience and at the same time provide necessary medical care to those in the region unable to access health care. Please click on our Donate button on the right to make your contribution. UNIFA's teaching hospital/medical center construction is underway! See photos, maps, graphics and description.